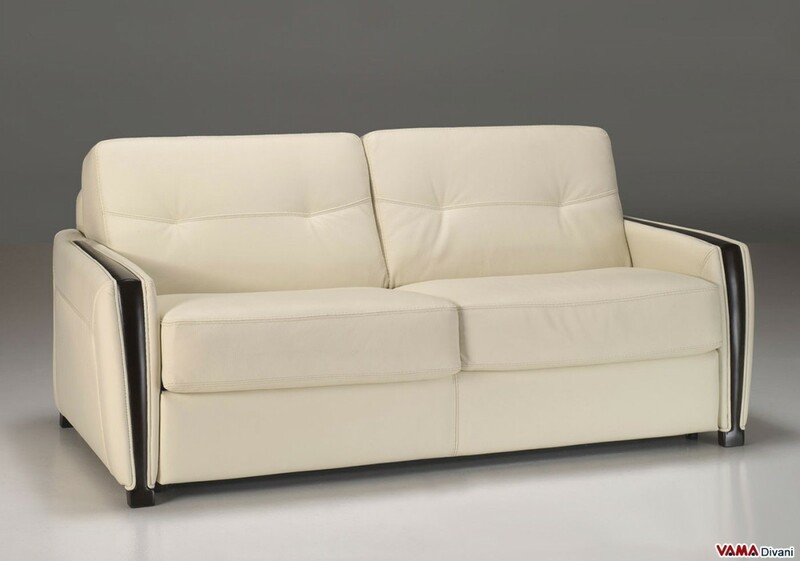 The Leather sofa bed Lido G does not lack in originality and looks like a modern sofa, an attractive, extremely flexible model to match. The quality of this sofa is linked, first of all, to its internal mechanism: a special electro-soldered mesh that keeps all its cushions integrated to its structure, and that turns Lido G from sofa to bed and vice versa, with a simple gesture. 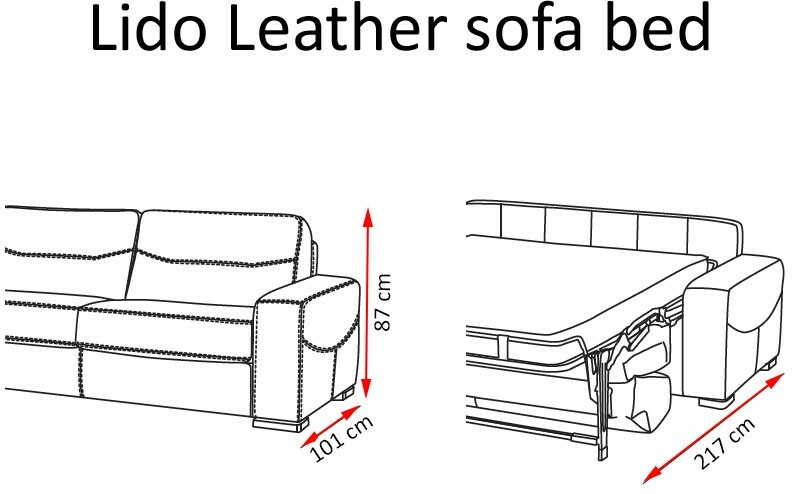 The mattress is made of an excellent material, that is the polyurethane foam, and is 14 cm thick. Even in terms of design, this modern sofa bed is very particular: its upholstery is made entirely of leather, finely worked with accurate hand crafted seams, and its original arms stand out while presenting some leather elements which hide a pretty wooden structure that recreates a pleasant contrast. 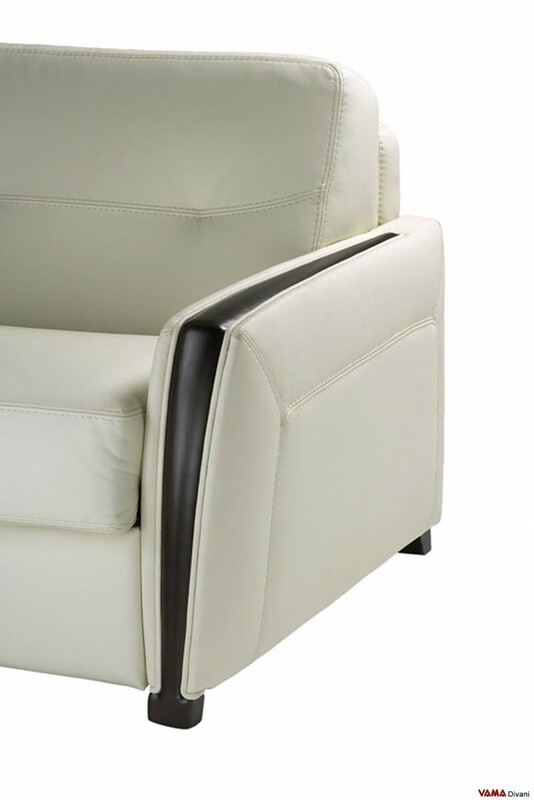 Just like the colour of its upholstery, even the paint on the wood can be chosen and customised by our customers. Thanks to its style, a simple but very eye-catching one, Lido G can be perfect for any environment.